Night scene of two steamships – MEMPHIS to left and JAMES HOWARD to right. 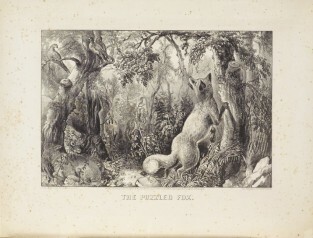 “M” in lower left corner of image. 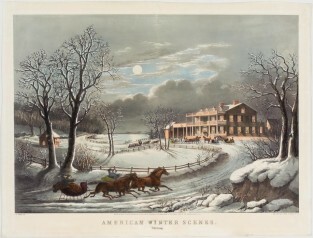 Currier & Ives produced more than 200 lithographs depicting the steamboats that navigated the nation’s great rivers, such as the Hudson and the Mississippi. 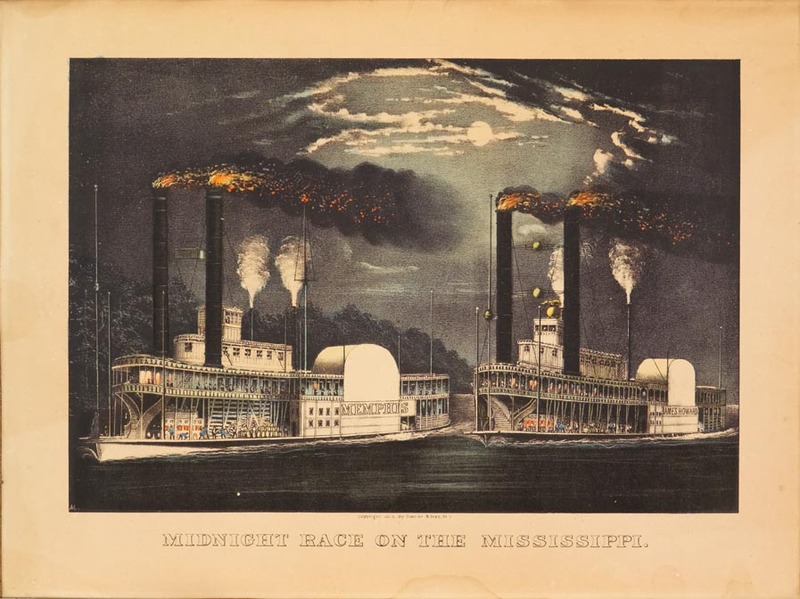 Races between boats were often organized and commemorated in prints like this contest between the Memphis and the James Howard. 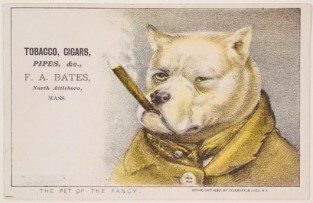 Mark Twain, in Life on the Mississippi (1883), described the race: In the “flush times” of steam boating, a race between two notoriously fleet steamers was an event of vast importance. The date was set for it, several weeks in advance, and from that time forward the whole Mississippi was in a state of consummating excitement. Large sums of money were wagered on the races and captains often overlooked safety in favor of winning the contest. Steamboats were dangerous, and reckless piloting during the races, boiler explosions and fires destroyed many vessels. The James Howard, for instance, was destroyed by fire in 1881. During the 40 years following Robert Fulton’s introduction of the steamboat in 1807, nearly 500 boats were destroyed in accidents and nearly 4,000 people lost their lives.